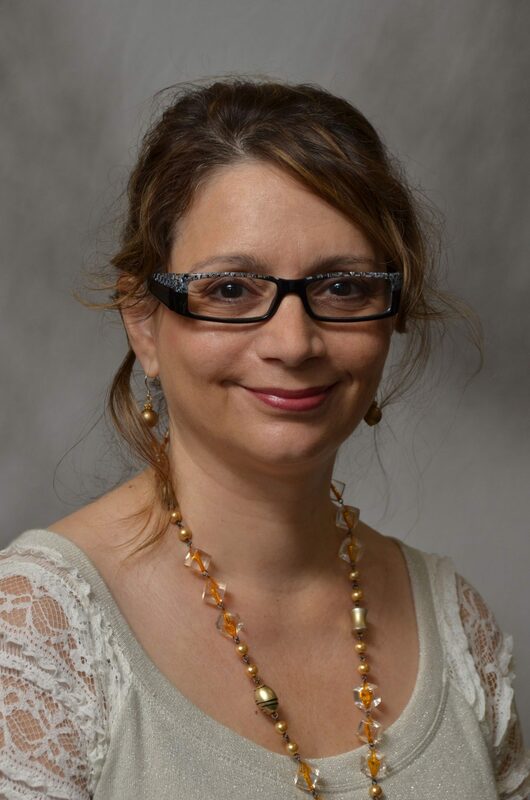 Bio: Angela Panoskaltsis-Mortari, PhD is the director of the UMN 3D Bioprinting Facility. She is a Professor of Pediatrics in the Division of Blood and Marrow Transplantation and the Division of Pulmonary Medicine. She also is a Professor of Medicine in the Division of Pulmonary, Allergy, Critical Care and Sleep Medicine. Dr. Panoskaltsis-Mortari is the Director of the Cytokine Reference Laboratory and Vice Chair for Research for the Department of Pediatrics. Dr. Panoskaltsis-Mortari received her PhD from the University of Western Ontario. She was a post-doctoral fellow in the Department of Pathology at the University of Alabama and a post-doctoral research associate in the Department of Pediatrics at the University of Minnesota. She joined the University of Minnesota faculty in 1995. Panoskaltsis-Mortari has board certification from the American Board of Medical Laboratory Immunology. She is a member of numerous immunology, pulmonary and hematology professional societies, and the author of over 235 articles which have appeared in such publications as Journal of Experimental Medicine, Journal of Clinical Investigation, Blood, Biology of Blood and Marrow Transplantation, American Journal of Physiology (Lung, Cell. & Mol. Physiol.) and Journal of Immunology. Dr. Panoskaltsis-Mortari’s laboratory research focuses upon bioengineering of lung, trachea and esophagus using various biofabrication methods including bioprinting. She is also working on bioengineering the lung using adult stem cells and decellularized whole lung scaffolds with the goal of creating autologous lungs for transplant. The Mortari lab also studies bone-marrow transplant-related lung injuries such as idiopathic pneumonia syndrome and obliterative bronchiolitis which are major complications causing morbidity and mortality post-BMT. She is also exploring methods of enhancing proper lung repair in several lung injury models using mesenchymal stromal cells, anti-fibrotic interventions and novel antioxidants. My work in lung bioengineering led me to read about other tissue engineering techniques. I realized the potential for 3D bioprinting, and that all the expertise that is required to do it is already here at the University of Minnesota, but no one had really put it together, so I decided to open the 3D Bioprinting Facility with the help of research infrastructure funding provided by the University. What do you find the most exciting about working with 3D Bioprinting? Certainly the fact that it’s a new, wide-open field with a lot of opportunities for discovery, invention and new knowledge to challenge the dogma of 2D is very exciting, but what I enjoy most is the excitement I see on the faces of the students and trainees using the technology for the first time. Do you have any goals for yourself/your team in terms of what you wish to accomplish via bioprinting? Determine the best bioprinting methods for different applications. We currently have projects on using bioprinting methods for replacement of trachea and esophagus, as well as models to study cancer metastasis. Making an impact on the knowledge in these areas would be a great accomplishment. We also want to help generate the framework for educating the workforce who will be employed by industries manufacturing tissues, organs and other products important for this field. What do you find to be the most challenging part of working with bioprinting? Keeping up with the literature and all the new advances as the field is rapidly growing. What do you hope to see happen in the next 20 years? I would like to see 1) the teaching curriculum at all levels has been modified to incorporate biofabrication, 2) the industry firmly established with pre-clinical drug testing done on 3D human tissue models, and 3) at least 10 bioprinted products cleared by the FDA. These could be cellular or acellular tissues, or medicines. To learn more about Dr. Angela Panoskaltsis-Mortari go to her bio page.